Detroit: Become Human is $39.59 (34% off) on Amazon. Quantic Dream's narrative-heavy, PS4-exclusive adventure game about the intersecting lives of three androids earned high praise for its branching paths and focus on personal drama. True, it's not exactly subtle with its metaphors and writing, but if you want a gorgeous-looking game with a story that's easy to get wrapped up in, check it out. Titanfall 2: Ultimate Edition is $11.99 (70% off) on the PlayStation Store. Our Game of the Year for 2016 might be getting up there in age, but it's no less fun in 2018, and the Ultimate Edition lets you start with all Titans unlocked, plus unique paint schemes for your mech and guns. South Park: The Fractured But Whole is $18.00 (70% off) on the Microsoft Store. We loved South Park: The Fractured But Whole, remarking how it improves on the already sublime Stick of Truth in almost every way. This is your chance to get it for cheap and bust a gut laughing - just don't let the kids watch. Far Cry 5 Deluxe Edition is $41.99 (40% off) on the Microsoft Store. 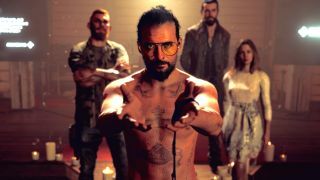 The Far Cry series has always excelled at being, more or less, a mayhem simulator, and Far Cry 5 is no different. The Deluxe Edition comes with special skins for your character, weapons, and even a couple vehicles - and since Far Cry 5 is enhanced for Xbox One X, it'll look fantabulously crisp and vibrant. Original Xbox games are 16% off already-reduced prices at GameStop. Don't forget, GameStop deals in retro systems nowadays - even if most of the time you need to look online. A bunch of original Xbox games are currently on sale (including Panzer Dragoon Orta and Breakdown, which are backwards compatible with Xbox One), just enter the code "CAG16" at checkout to take off an extra 16%. Or if you're not feeling the Xbox selection, the code will work for any in-stock pre-owned games. Already caught up on games that are out? Why not look to the future with our list of the best games of 2019 (and beyond)?